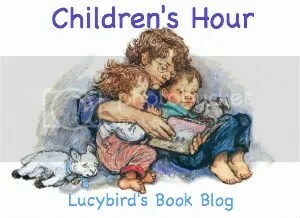 Children’s Hour: Polar Bear, Polar Bear, What Do You Hear? I bought Polar Bear, Polar Bear, What Do You Hear? to use as part of our project on sound. As Brown Bear is still a favourite I thought they would appreciate something similar. It did go down quite well, especially with pre-school who tried to join in straight away. It took my toddlers a little longer, and a week later (having read it everyday) they do still struggle with some of the animals. They do enjoy the similar rhythm though, and like making the sounds of the animals that they do know. To be honest the animals were the main problem. The kids couldn’t name quite a few of them, and sometimes the right answer wasn’t quite right (where the kids said snake it was a Boa Constrictor), and could make the sounds for even less. I didn’t even know the sounds for some. It’s not quite Brown Bear, but it is good.